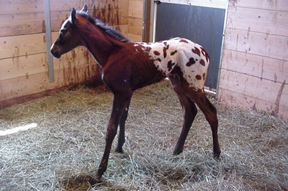 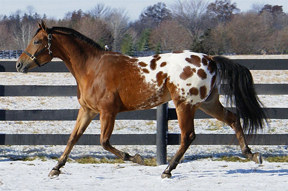 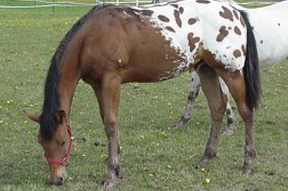 Luke is a tall, elegant 2003 bay gelding by 2003 World’s Best Appaloosa Zip Me Impressive and by A Spotted Rose. 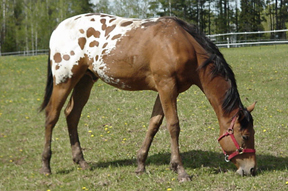 He has two top tens at the World Appaloosa show and has points in Open Hunter in Hand Geldings and Open Hunter in Hand Stallions. 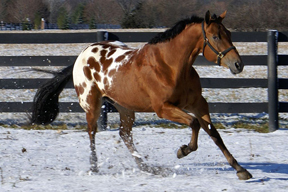 He has one year of training under saddle and is a great kids horse. 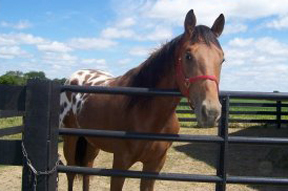 Luke has found a new home with Barn Buddy Jane.